The FS2214 Beluga Glass Cutter cuts windshields faster and safer than any other method! Hand saws, sawzalls, and axes are slow and messy, and can frighten the accident victim. When time, safety and expedience are important, the Beluga Glass Cutter does a better job in half the time. It takes little effort to quickly remove a windshield - just push the Beluga gently through the glass - no need to push hard or strain, because the Beluga does all the work. Cover the victim, attach suction cups to the windshield, poke a small hole with the provided pick hammer, insert blade, cut out the windshield, lift off with the provided suction cups. If you don't need to remove the entire windshield, just cut out what you need, or remove it all. Paratech fully mechanical Absolute Flying Raker Sets leave the wood behind. Stronger, faster and easier than wood, the Absolute Flying Raker in 6 ft (1.8 m) or 8 ft (2.4 m) sets, allow rescue teams to build rakers around the rubble pile. Use the Woodless Flying Raker kit upgrade to upgrade a Standard Flying Raker to an Absolute Woodless Flying Raker. Inter-operational with all Paratech Rescue Support Systems. Paratech once again sets a new standard - no wood, no pins, no chains...no hassle. The Absolute Raker provides flexibility, functionality and economy. Never worry about wood again - fully deployable in minutes - or easily turn your existing Paratech Raker into an Absolute Raker, with the Standard to Absolute Upgrade Kit . Inter-operational with all Paratech Rescue Support Systems. The Flying Raker is easier & faster to install where fallen debris and rubble are an issue. This kit will take up less valuable space on a rescue truck compared to an additional full Raker kit. Can be utilized with both the 6' (22-796481) and 8' (22-796480) Deployable Raker Systems. Gives you the capability to add on to your current system to increase your capabilities and at a cost savings - less than half of the full raker kit. The MAXIFORCE AIR LIFTING BAG is a thin, strong, molded envelope available in 14 different sizes. It is made from 3 layers of Neoprene covered Aramid fiber reinforcement and has the power to lift, move or shift weights up to 89 tons (80.9 metric tons) per bag. The MULTIFORCE Air Lifting Bag takes lifting to a whole new level. Integrating the latest technology with a unique understanding of lifting, Paratech has designed the MULTIFORCE Air Lifting Bag to exceed expectations. The mid-point brace kit can be utilized with the 6' & 8' Raker Sets and will greatly increase the strength of your Raker Kit. Adding this item to your Raker Set will guarantee you have the strongest raker. The Trench SMT (Special Mission Tender) is a low maintenance and cost effective solution for fire departments and rescue teams, simplifying rescue plans by having a neat and organized mobile container for all of your rescue equipment. The Organized and Ready to Roll Trench SMT comes with Rescue Struts, MAXIFORCE G2 Air Lifting Bags, Low Pressure Trench Cushions, Walers, Finnform, Plywood Ground Pads and many other kits and components to facilitate rapid response to trench collapse scenarios. The 6' Deployable Raker Set is part of the USAR System standardized by FEMA for its Urban Search & Rescue operations. The parts create a shoring system that can support most compromised walls or excavations. No part of this kit is longer than 6' which helps for storage and transport of the system. 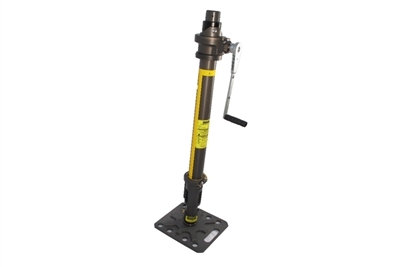 The strength and ease of use for this system makes it the set of choice for your structural/excavation needs. The 8' Deployable Raker Set is a kit that is designed to support compromised structures and walls. The strength and ease of use of this system makes it the kit of choice for your structural/excavation needs. We have your back...Loaded with the tactical forcible entry tools you need to breach just about anything. The durable and comfortable TFE backpack features Paratech's Tactical Bolt Cutters, Modular Battering Ram body with a Standard Head and either a 24" Tactical Hooligan, TRK Sledgehammer or the Tactical PRT. Paratech's versatile TFE Backpack handles the tools that can handle the job. The ALL IN ONE Vehicle Stabilizer! Stronger, Faster, Safer! No Assembly Required! When you need to stabilize a vehicle accident scene quickly, there is nothing faster or stronger. 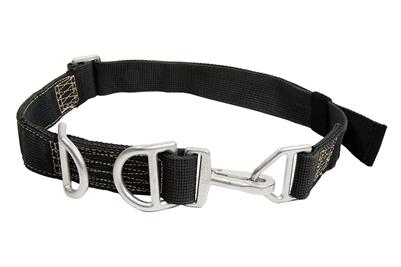 With the TwistLock Collar all you need to do is TWIST, EXTEND, LOCK and the TVS can stabilize 10,000 lb / 4,535.9 kg with a 2:1 safety factor at ANY height. NO LOAD CHARTS NEEDED. The USAR Rescue Strut System is one of the most complete structural collapse systems that has been standardized by the FEMA USAR teams. For any team serious about Urban Search & Rescue, this is the system to make it happen. The system includes (2) 6' Raker sets and numerous Rescue Struts and components to handle almost any disaster that the rescuers are faced with. This system affords the rescuer the ability to tackle most structural collapse scenarios. The system includes (1) 6' Raker set and numerous Rescue Struts and components which would be a great start to any Fire Department looking to be more involved in structural collapse incidents. After years of experimenting with different harness designs for escape and collecting feedback from Fireghters who have a long history of carrying escape systems, we concluded that an escape harness needs to be 3 things - Lightweight, Simple and Easy to Integrate. 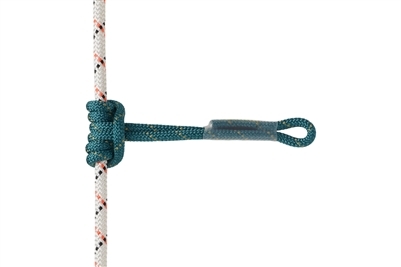 Provides progress capture, tandem prusik belay and optimal rope grab for rope rescue. 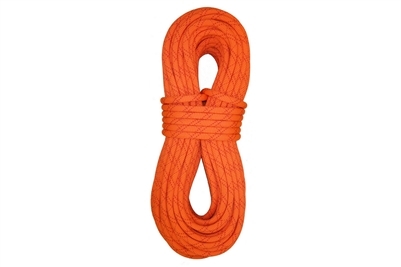 Does away with bulky, time-consuming knots and is stronger with its sewn loop construction. 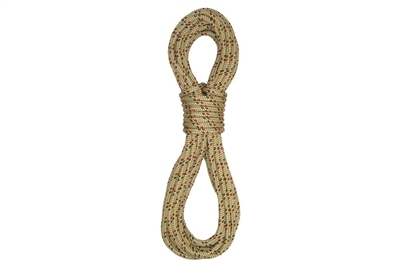 The most compact certified escape rope available. 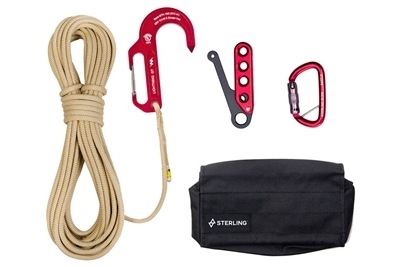 The nylon core construction allows for easy packing into a bag or pocket and easy payout. F4 Escape kits and systems are the original, customizable personal escape setups. Built around our lean and effective F4 descent device, these kits and systems are offered in a variety of configurations. All individual components are NFPA certified and when incorporating our FireTech2 and SafeTech escape ropes, these are fully NFPA-certified systems.